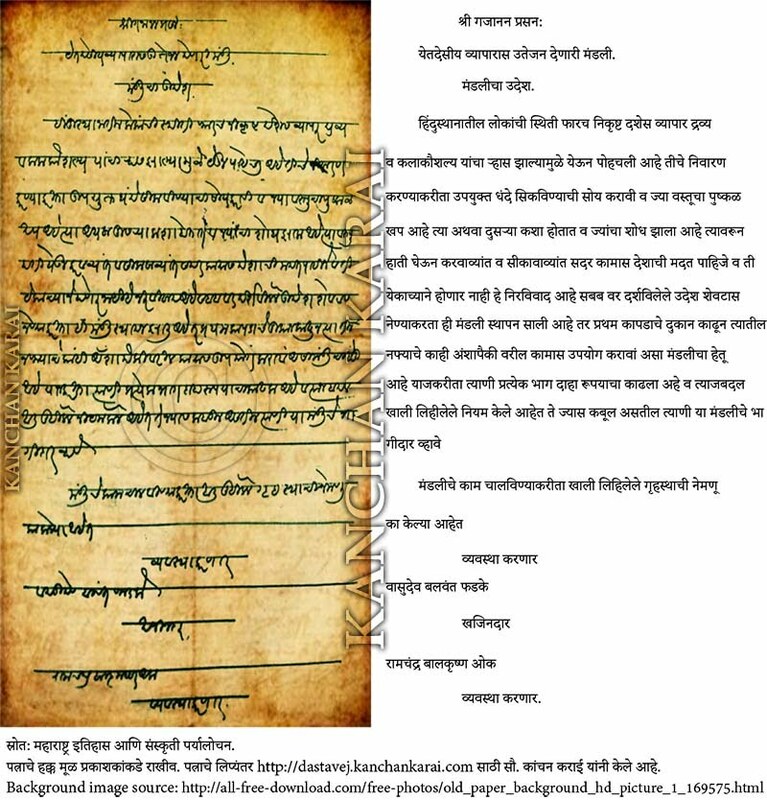 This letter is written in MoDi script or मोडी लिपी has a connection with letter about partnership scheme. This is the first letter. There is no date on the letter. It is sent by Mr. Ramchandra Balkrishn Oak. In this letter Mr. Oak said that all the citizens of the country should stand together and participate to improve the business and technical skills in the country. He further stated that a team is form to promote indigenous businesses. They have already opened a cloth shop and they want to use part of the profit to start another business in partnership. Each share of the new business is set for Rs. 10/- and there are certain rules set for the partnership. Those who agree to these rules can become a partner with the team. Mr. Oak has also mentioned team members name, Vasudeo Balwant Phadke as a Manager and himself as a treasurer of the team.